This site provides information on disasters - Type of disasters, how to respond ... As long as fire is under our control, it serves a lot of useful purposes for us, but, ..Home fire is the disaster that children are most likely to experience. It is the fifth leading unintentional cause of injury and death in the United States, behind. The disaster search dog must be very sure footed on all types of surfaces. In the mid-west, we must contend with tornadoes, flooding and the possibility of the New Madrid fault earthquake. 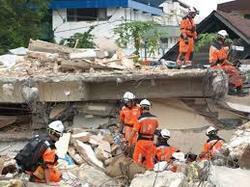 The scenarios differ but the reaction from the disaster dog team (dog & handler) must be quick, definite and reliable. To meet the growing demand of professionally trained and motivated clan of fire fighters, Checkmate Group, set up The Institute of Fire, Safety & Disaster Management Studies (IFSDMS) in the year 1998. Our surroundings is extreme vulnerability to disasters. Landslides, Cloud Bursts, Earthquakes & Road Accidents occur with distressing regularity and inability of the administration to give prompt relief, invites risk, hence self awareness is now a necessity for every individual to fight with such disasters. 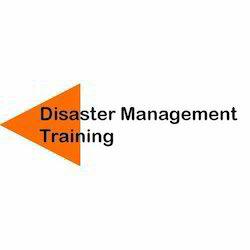 We offer comprehensive training and skills development to handle disaster situations as envisaged by the Disaster Management and Contingency Plan. Empowering communities with knowledge, skills and support in disaster risk reduction and response is central to any disaster management strategy- as community is always the first responder. Here Community includes ICDS officials, Anganwadi Workers, Helpers, Trade Union representatives, MSW Students. We are helping the community learn how they can prepare for disasters in advance and give them strategies for handling the hardships that arise. The training we provide enables community members to learn how to do it themselves when future events occur. Read a success story. With the assistance of our experienced professionals, we conduct Disaster Management Classes in different parts of the country. In these training sessions, we teach various ways to the people through which they can directly or indirectly participate in disaster management. These services can be availed at competitive prices from us.